Reliance Jio has launched a new offer for cricket lovers in India as the IPL 2018 season is starting this week. First of all, there is Jio Cricket Play Along game that lets you win prizes, and secondly a new Jio Cricket Season Pack that offers live streaming of IPL matches and finally a Jio Dhan Dhana Dhan Live Comedy Cricket show. All these will be available on My Jio app. 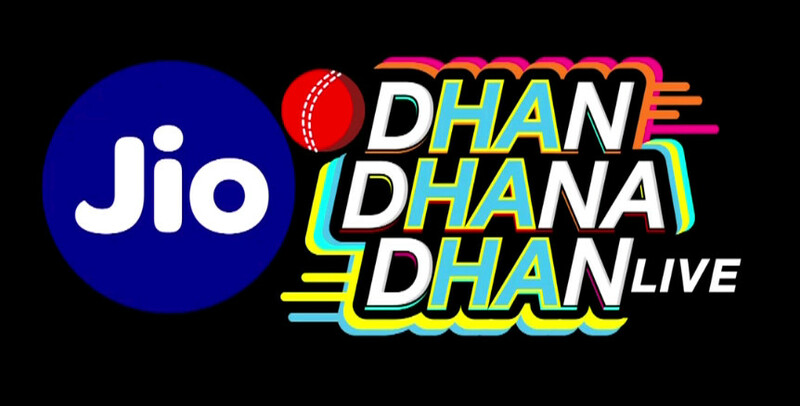 Reliance Jio announced these offers for cricket lovers and Jio users as well as non-Jio users can play the cricket play along game and watch the comedy show on the My Jio app. However, Jio users can also avail the Cricket season pack that offers 4GB data to watch IPL 2018 matches. Jio introduced this new Cricket Season Pack that enables Jio users to watch IPL 2018 matches live on MyJio app throughout the duration of 51 days. The pack costs at Rs. 251 and apart from live streaming of matches also comes with 102GB 4G data. Jio Cricket Play Along game is available on MyJio app every day during the IPL matches spanning 7 weeks and 60 matches. It can be played in 11 Indian languages. The interesting part of the game is, users stand a chance to win a house in Mumbai, 25 cars, cash prize worth crores and much more. Jio Dhan Dhana Dhan Live is cricket comedy show that starts on 7th April at 7:30 PM. The original live episodes will release every Friday, Saturday, and Sunday. It will be hosted by Sunil Grover and popular sports anchor Samir Kochhar and every episode will feature cricketers and celebrity guests in fun conversations, gags and more. There will be popular comedians along with cricket legends Kapil Dev and Virender Sehwag. “This is going to be one of my most refreshing characters. I get to collaborate with some of the finest artists like Samir, Shilpa, Kapil, and Viru paji to make India Laugh. Jio is known for changing the game and this time, it’s Cricket. India has never seen Cricket from the lens of humour before, and I’m looking forward to bat on this pitch,” said Sunil Grover in a press statement,” said Sunil Grover in a press statement.